George Soros, Chairman of Soros Fund Management, deliver his speech to journalists on January 25, 2012 at the Swiss resort of Davos. Some 1,600 economic and political leaders, including 40 heads of states and governments, will be asked to urgently find ways to reform a capitalist system that has been described as ‘outdated and crumbling as they converge at eastern Switzerland’s chic ski station of Davos for the 42nd edition of the five-day World Economic Forum (WEF) which opens on January 25, 2012. As Dave noted in his piece on how Super PACs aren’t helping to remake the Democratic Party the same way they are the GOP, many liberals just aren’t comfortable with the idea of donating huge sums to fund attack ads by shady outside groups. 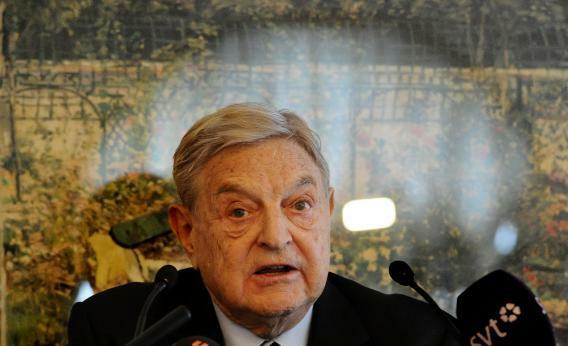 Donors like George Soros dumped millions into ads against George W. Bush in 2004 to no avail. As Josh Green points out, the left seems to think it can compensate for a lack of Super PAC spending with a superior grassroots organizing and field campaign. But that was the plan in the Wisconsin recall election, and things didn’t go so well. And liberals panicking and deciding to go all-in on Super PAC attack ads if Obama looks weak in August or September may not matter – as MacGillis notes, TV ad time has to be reserved well in advance, and besides, the summer months can be critical to framing a fall campaign. The swift boat attack ads against John Kerry in 2004 were largely a summer phenomenon, having done their damage to the the central tenet of his candidacy – his strong military record – well before October. Ramping up the Bain attacks or some other assault on Romney late in the game probably won’t swing the election.